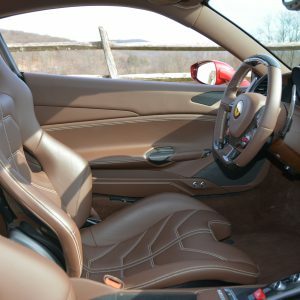 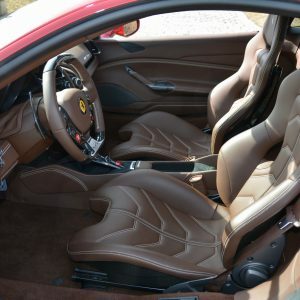 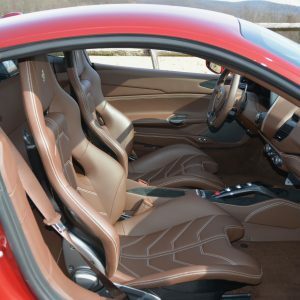 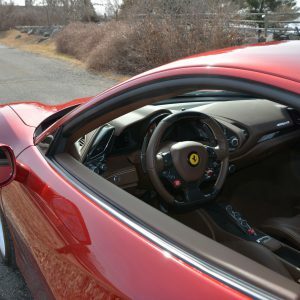 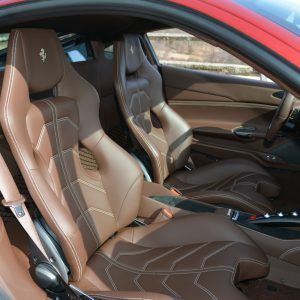 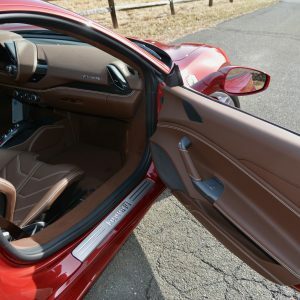 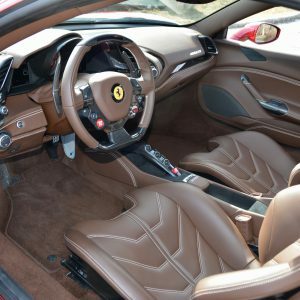 2017 Ferrari 488 GTB finished in Rosso Fiorano with Cioccolato Leather Sport Seats. 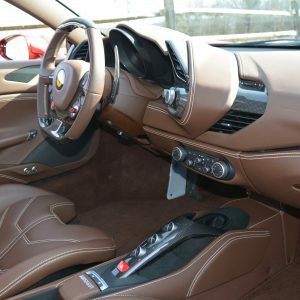 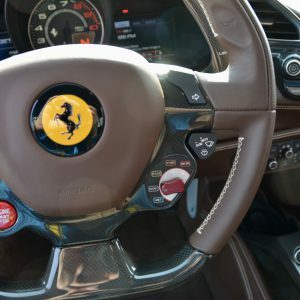 2017 Ferrari 488 GTB finished in Historical special ordered Rosso Fiorano with Cioccolato full leather interior. 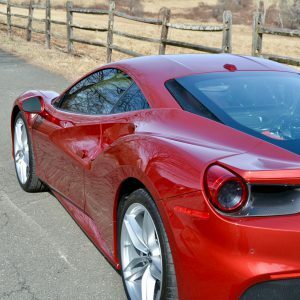 This one owner spotless example has been driven just 1,378 miles since new. 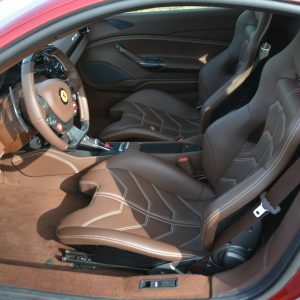 Beautifully equipped with Goldrake Racing Seats, Carbon Fiber Rear Air Duc, Carbon Fiber Fog Lamp, Engine Covers in Carbon Fiber, Carbon Fiber Driver’s Zone, Carbon Fiber Center Bridge, Lower Tunnel in Leather, Carbon Fiber Trimmed Dash, Suspension Lifter, Horse Stitched Headrests, Factory Sport Exhaust, Scuderia Shields, Electric Inner and Outer Mirrors, Front and Rear Parking Sensors, 20 inch Forged Wheels, Leather Rear Shelve, Colored Special Stitching, Colored Steering Wheel and much more. 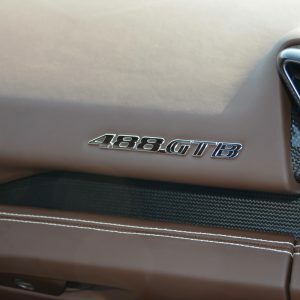 The original MSRP exceeded $347k. 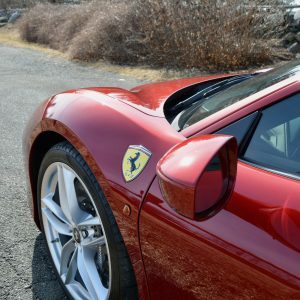 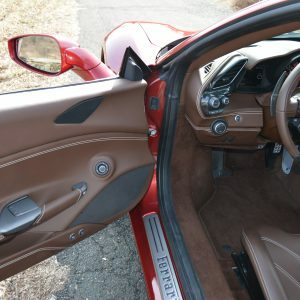 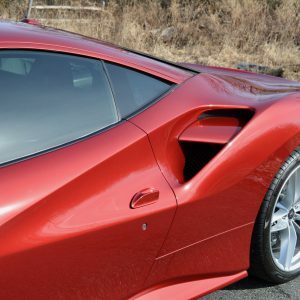 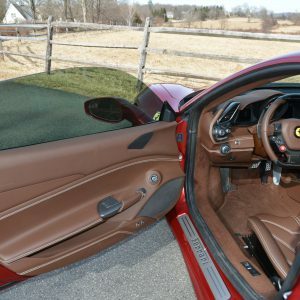 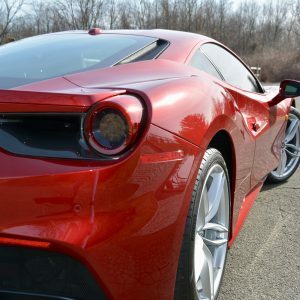 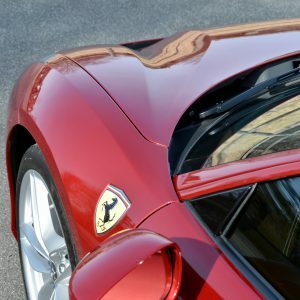 The car has been covered with a protective film since new and it remains flawless throughout. 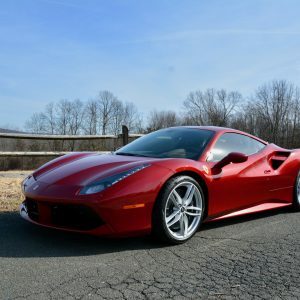 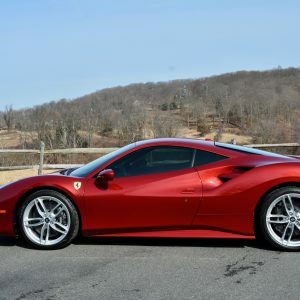 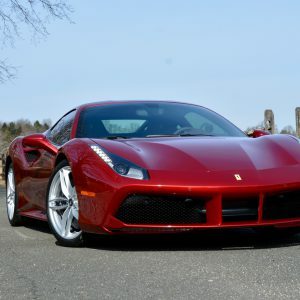 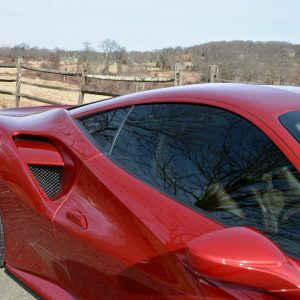 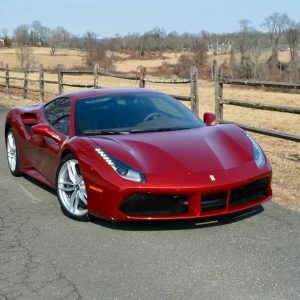 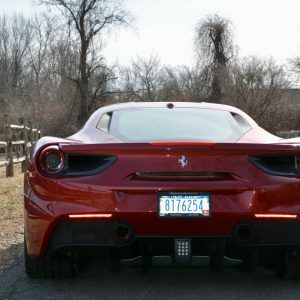 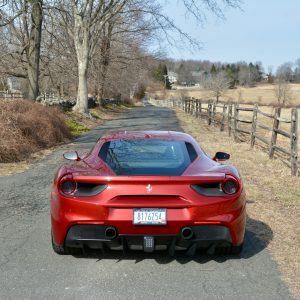 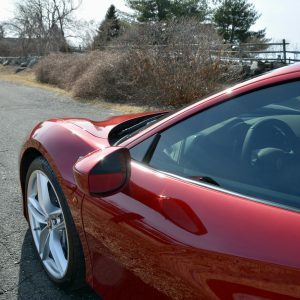 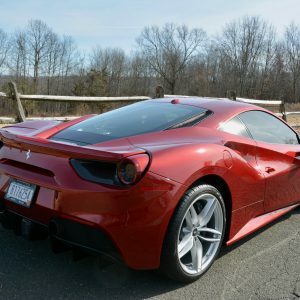 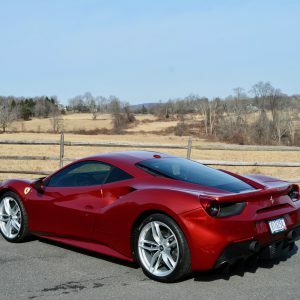 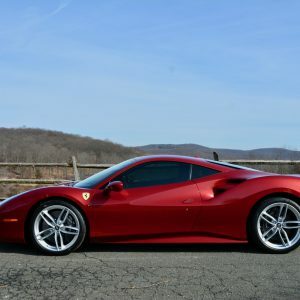 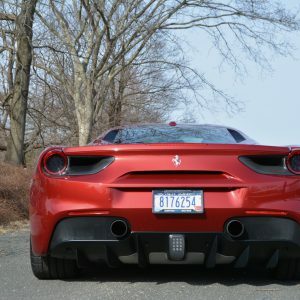 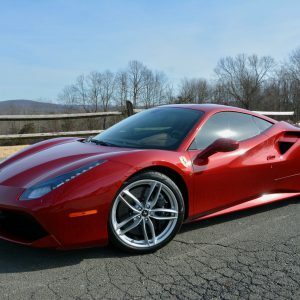 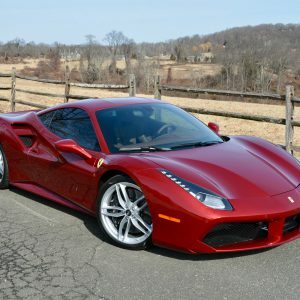 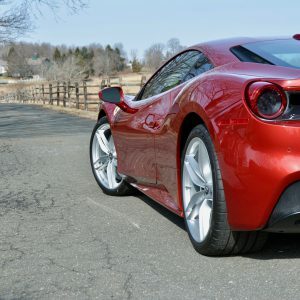 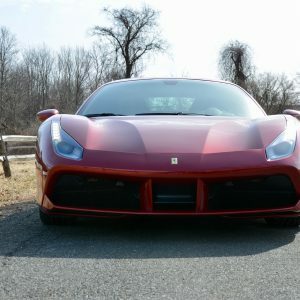 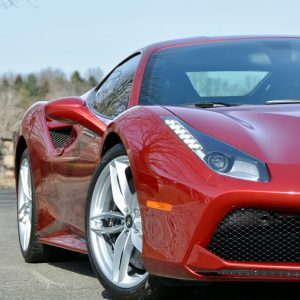 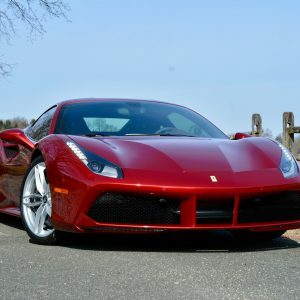 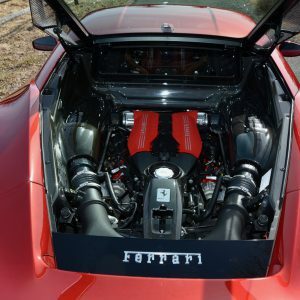 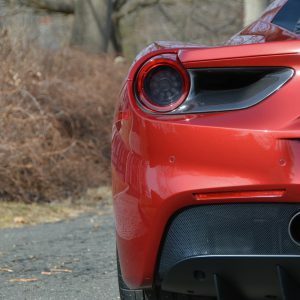 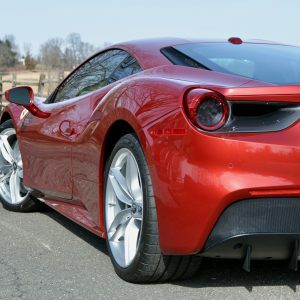 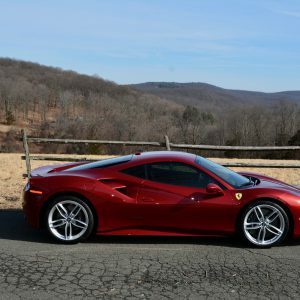 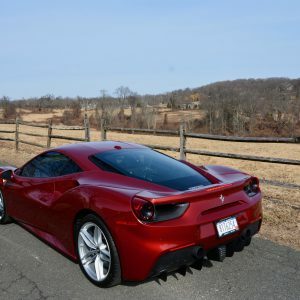 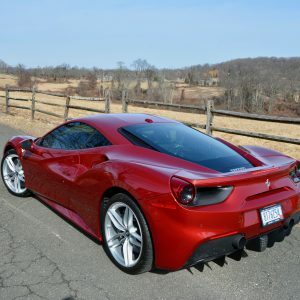 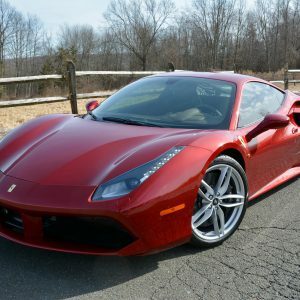 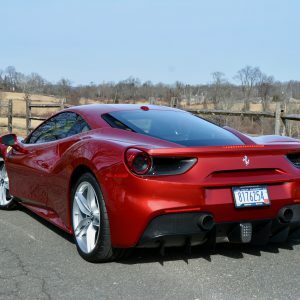 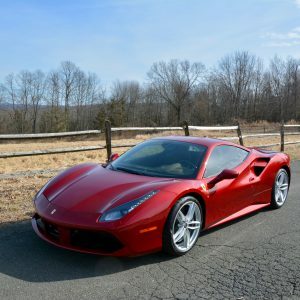 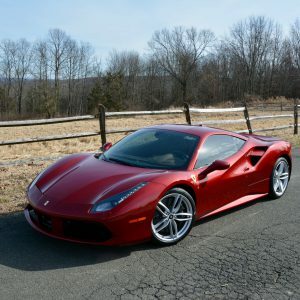 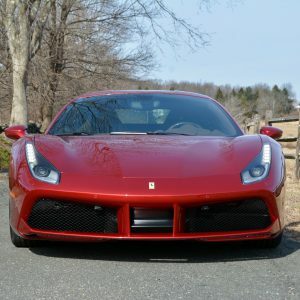 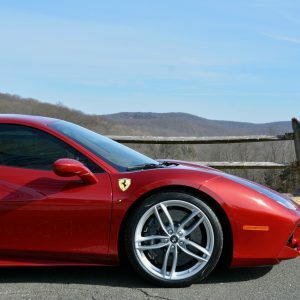 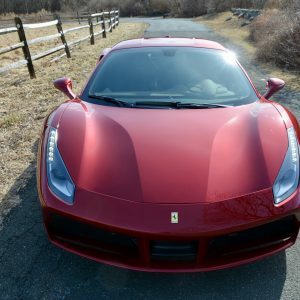 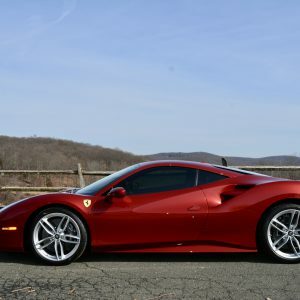 This truly unique 488 GTB is available only because the previous owners new Pista is about to arrive. 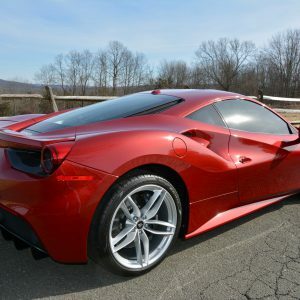 Under full factory warranty until 03/31/2020 and the maintenance is covered until 03/31/2024.